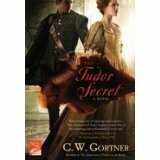 "The Tudor Secret" (below) and "The Last Queen." 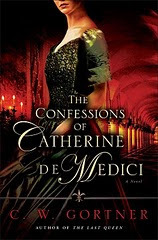 "Confessions of Catherine de Medici" is a novel that art historians and historical fiction lovers will simply devour once they get their hands on it. I know, because I am of that ilk! This book is as close to reading someone else's diary as one could get were it not for the extraordinary descriptive details that highlight the story. Written by the hand of a wizard, the novel is riddled with unbelievably gorgeous descriptions of architecture, artworks, tapestries, gardens and garments. That alone could make me an avid fan, but to top that off, Mr. Gortner is a writer of such an all inclusive style that I hung on his every word. To him, history is not dull, and he conveys that in every sentence of this powerful, absorbing book. 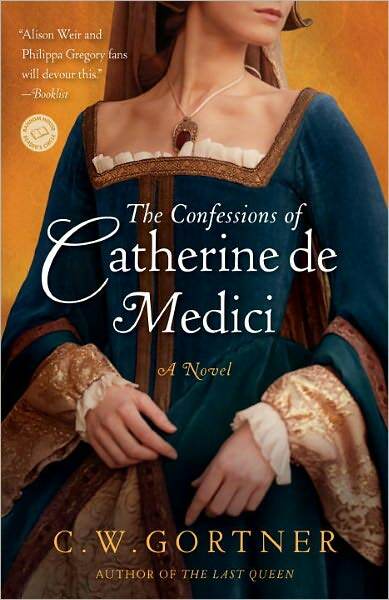 Catherine de Medici has long been a figure I've been interested in knowing more about. I was an Art History major in college, including concentrations in Fine Arts and Museum Studies. The Medicis absolutely captured my fantasies because of their collections of art, their wealth, their bent toward evil doings and their intrigues. They were handsome, gorgeous and insane, while they built a Florence that became the jewel of Italy. Fascinating stuff! So, Catherine de Medici, the last of the Medici and only surviving grandchild of Lorenzo the Magnificent had to be exceptional and endowed with dazzling gifts of mind and spirit. Mr. Gortner makes all of his characters come alive. His easy manner of introducing and evolving the emotional make up of the primary characters makes them feel like they have walked into your life, literally. I fell in love with the young Catherine and her devastating childhoood, suffered with her young bridal years, agonized over her love life, and fought with her for her children and country. What a heroine she was, and how vulnerable Gortner made her, as well as making her a lioness befitting her royal heritage. Mr. Gortner's research and writing of his historical novel seems meant to reach a wide audience, although directed mostly to women. His concerns address the historical significance of Catherine de Medici as a major woman of the 16th c. It also seems to me that he writes in order to highlight the strengths that a spirit can rise to and overcome under duress in life. Women are most often the ones who carry burdens of balancing difficult tasks, caring for home, children, poverty and wartime backlash...Mr. Gortner's book offers Catherine de Medici as a historic figure who represents real life heroics women have achieved throughout time. 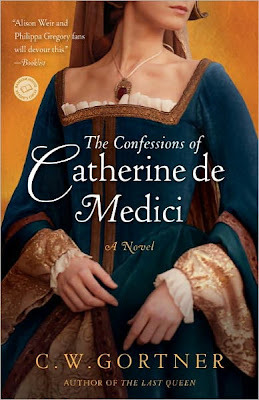 When all the dots have been placed and the commas laid in properly, "Confessions of Catherine de Medici" is simply a wonderful story to read. It will remind you of those books about Anne Bolyen and her sister we've all loved in the recent past, only Mr. Gortner writes much better. 5 stars for an author who will take you back to 16th century France.